Antipode’s sixth Institute for the Geographies of Justice took place in Montréal, Québec, Canada, from 5 to 9 June 2017. It was organised by Nik Heynen (University of Georgia) and Andrew Kent (Antipode: A Radical Journal of Geography / the Antipode Foundation) with Rosemary-Claire Collard, Kevin Gould, Norma Rantisi and Ted Rutland (Concordia University), and held at Concordia’s Department of Geography, Planning and Environment. The Institute’s facilitated discussion groups, debates and panels, training and skills development modules, and plenary sessions were led by Nicholas Blomley (Simon Fraser University), Alain Deneault (Collège international de philosophie, Paris), Cindi Katz (City University of New York), Katherine McKittrick (Queen’s University / Antipode) and Jamie Peck (University of British Columbia / the Antipode Foundation). 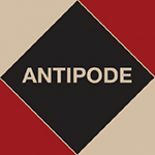 Following the Institute, the Antipode Foundation made a grant of Can$3,000.00 to support the work that Ellen Gabriel and Clifton Nicholas have been undertaking. More specifically, support has been provided to the Tsi Ronterihwanónhnha ne Kanien’kéha Language and Cultural Center / Mohawk Language Custodian Association, and for a satirical fashion show, which Ellen Gabriel had requested be held at Concordia University in commemoration of the 1990 siege of Kanehsatake. The show will involve 15-20 members of the community, including Ellen, and will take place in November 2017; read all about it here. Support has also been provided for honoraria for more presentations by Clifton Nicholas. This support will enable the building of greater awareness of–and active support for–the ongoing struggle for land and against Canadian settler colonialism in Kanehsatake. These contributions, and the relations of solidarity that we hope they will foster, are a direct result of IGJ6, which all the participants made possible, and for which we are incredibly appreciative. Also, it is important to note that the anti-colonial struggle in Kanehsatake has entered a new chapter, as a new condo development has been proposed for the Pines area. Since July, there have been protests and meetings in relation to this. For more information, please see this press release, check out Ellen Gabriel’s Facebook page, and sign the petition to “Halt the Land Development on Disputed Kanien’kehá:ka Territory”. The satirical fashion show in commemoration of the 1990 Kanehsatà:ke Siege (or Oka Crisis), Tsi Teiotenonhátie tsi Nikanonhio’ten “The Changing Styles”, took place on November 17th; you can see photos from the evening below. Since the 1990 Kanehsatà:ke Siege (or Oka Crisis), fashion has changed in the community to a different kind of casual wear: one that exemplifies the Siege and one that supports an individualistic style. We are talking of course about Camouflage! The one and only versatile print for any season and any occasion! This is the fashion show of the season for the REZ, so come out and support the tribute to local Land Defenders and the do’s and don’ts of Barricade wear.